Discussion in 'Desktop / X' started by JasKinasis, Apr 27, 2017. Now you see, there's something new ... I didn't know there was a LibreCAD, will have to look into it. I have played with LibreCAD some, and so far it I have found it to be a pretty good "FREE" replacement for AutoCAD. I don't do much drafting anymore, but it does allow me to modify electrical drawings for people, and then they can reopen and use them in AutoCAD. 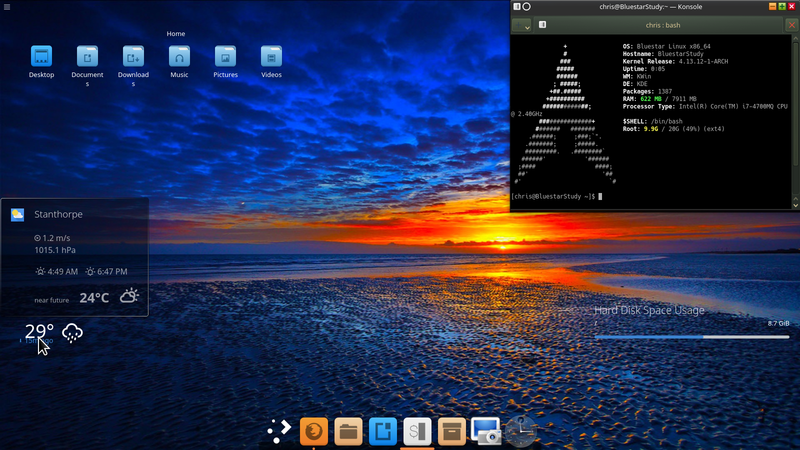 This is Bluestar Linux ... it's Arch-based, like Manjaro, but I don't think so sensitive. The Terminal Konsole, if it looks familiar, it is similar to that shown by MikeyD with his Arch at #13, page 1. Little weather widget tells my local Stanthorpe weather. Neat. @Siskiyous - Nice one, Rick and thanks for sharing. Linux Mint with a MATE desktop environment, good call. Nice ride, mate! can we get a peek under the bonnet? Here is one that any computer geek will love. It is one of my favorites from the Non Sequitur Comic strip. The gentleman who writes this is a Genius! Enjoy all. Actually I prefer the Crystal ball method, over the Ouija Board method. atanere, JasKinasis and wizardfromoz like this. Beauty, Eh? Welcome to the group! I kinda thought you would, mate. @wizardfromoz @VP9KS thanks guys i'm glad to be here. Here is my Pepermint desktop, another Non Sequitur from the past which just tickled my funny bone. No disrespect intended, but as an engineer it just was too good to not share. 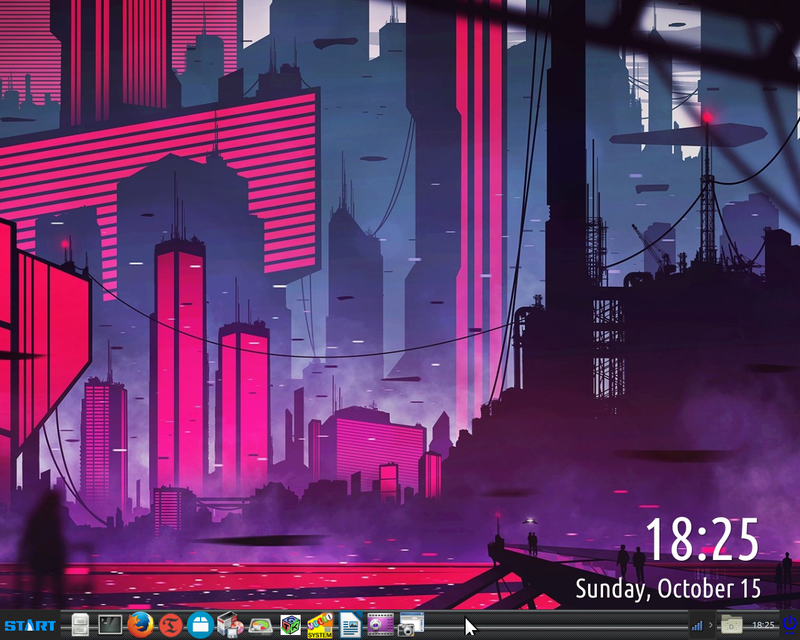 It also goes well with the tech support desktop which I posted previously. Enjoy! P.S. The title, which sadly got cropped off, was "Engineering the French Revolution" . I wonder if the mistake that they made should be classified as an , or an Aw S#%&!. What do you think? side note: Canada. Not France. Shark Linux has a number of colourful wallpapers but a lot more going for it than just that. Developed by Marcus Petit from France, he built it with The Cloud in mind, and says he did not touch a keyboard whilst building it, he did it all from his Samsung Galaxy phone? Welcome to the group, Mate! Nothing like a good beating, eh Wiz? wizardfromoz, atanere and VP9KS like this. Nice ride! Welcome to the group! JasKinasis, wizardfromoz, atanere and 1 other person like this.